These 5/16 Aluminum body washers have an 82 degree taper to accept a 5/16 Flathead bolt. The have a thickness of .220 and O.D. of 1.350. 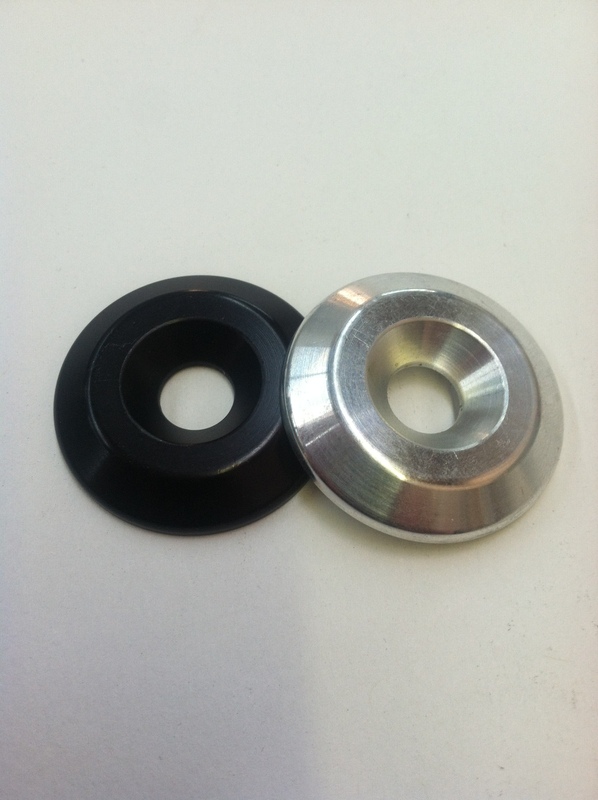 Come in either clear or black anodized finish.